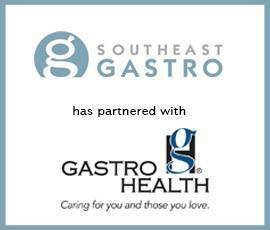 Southeast Gastro, a Birmingham Alabama-based gastroenterology practice with 20 board-certified gastroenterologists, 17 advanced practitioners, 8 locations, and three surgery centers, has partnered with Gastro Health, a leading medical group specializing in digestive health. 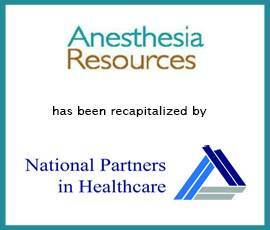 Anesthesia Resources, a leading anesthesia practice in Phoenix’s East Valley Area, has joined National Partners in Healthcare (“NPH”), a national healthcare organization delivering best in class anesthesiology services. AR provides anesthesia services to three hospitals and seven surgery centers. OrthoBethesda, a premier provider of orthopedic services in the greater Washington, DC region, has partnered with Atlantic Street Capital to create a dynamic orthopedic practice. Dermatology and Surgery Associates, a leading provider of general, cosmetic, and surgical dermatology services based in East Bronx, New York, has completed a recapitalization with BelHealth Investment Partners. Together with Millburn Laser Center, Sharon Scherl Dermatology and Spring Street Dermatology, Dermatology and Surgery Associates will form NavaDerm Partners. Boston Eye Group, The Eye & LASIK Center, and Eye Care Specialists have completed a recapitalization with an undisclosed investor. These three companies each provide comprehensive ophthalmic care for communities across Massachusetts. Boston Eye Group, founded in 2000 and operating under the brand names Boston Eye Group and Boston Laser, operates four primary locations in Massachusetts. Pain Management Associates, Inc. and Interventional Spine Center, Inc. (collectively referred to as “Pain Management Associates” or “PMA”), have partnered with Surgery Partners, a portfolio company of Bain Capital. PMA is the leading provider of premium interventional pain management in Orange County, California and the surrounding communities. Paramedics Plus, LLC has been acquired by A&M Capital Partners, LP to form Paramedics Logistics Operating Company, LLC. Paramedics Logistics was acquired from previous owner UT Health, formerly known as East Texas Medical Center Regional Healthcare System. Pacific Eye Institute completed a recapitalization with Unifeye Vision Partners, a portfolio company of Waud Capital Partners. PEI is a leading provider of vision care services within the Inland Empire of Southern California, operating across six clinical locations and one ambulatory surgery center. A leading ASC management company has acquired a minority interest in Orthopedic Surgery Center of Palm Beach County, Inc. Orthopedic Surgery Center of Palm Beach County, Inc is the ambulatory surgery center for Orthopedic Center of Palm Beach County. Southside Pharmacy has been acquired by Frazier Healthcare Partners. Southside serves over 35,000 patients each year and is one of the largest independent specialty pharmacies in the Houston, Texas market. Southside was rebranded to AppianRx. GrapeTree Medical Staffing, one of the fastest growing and largest nurse staffing providers in the Midwest, has completed a recapitalization with New MainStream Capital. GrapeTree’s service offering includes CNA staffing in nursing homes and assisted living facilities, as well as LPNs and RNs in hospitals. Waud Capital has made an investment in Adult & Pediatric Dermatology. APDerm® offers complete medical, surgical, and cosmetic skincare for patients of all ages, from newborns to the elderly out of 10 clinical locations in New Hampshire and Massachusetts. Pain Specialists of America, LLC has acquired the nonclinical assets of Central Texas Pain Center and Pain Specialists of Austin, two of the leading comprehensive pain management practices serving patients in central and north Texas. PSA is a portfolio company of CommonView Capital, LLC. New West Physicians, PC has been acquired by Optum, Inc., a subsidiary of UnitedHealth Group. New West, one of the largest physician practices in the Denver area, provides primary care services to over 200,000 patients through 120 healthcare providers. DermAssociates, PC has completed a recapitalization with an undisclosed strategic partner. DermAssociates is a comprehensive provider of medical, surgical, and cosmetic dermatologic care to patients at its two locations in Rockville and Silver Spring, Maryland. Southeastern Spine Institute, LLC has completed a recapitalization with Candescent Partners, LLC. SSI is the largest medical practice in South Carolina exclusively specializing in spine care. Women’s Health Care Group of PA has completed a recapitalization with Audax Private Equity. WHCGPA’s caregivers include general obstetricians and gynecologists, as well as other specialized providers. Air Medical, LLC has been acquired by AirMed International, LLC, a subsidiary of Air Medical Group Holdings. AMGH is a portfolio company of KKR & Co. L.P. Air Medical is a CAMTS (Commission on Accreditation of Medical Transport Services) accredited air medical service that provides emergency air transport to the citizens of Texas and beyond. Minnesota Eye Consultants, PA has completed a recapitalization with Waud Capital Partners, LLC to form United Vision Partners Holdings, LLC. MEC is a provider of primary eye care and surgical eye care services in the Minneapolis-Saint Paul metropolitan area. Sunshine Radiology, LLC has been acquired by The Physician Services business of Envision Healthcare, marking the fourth physician group that has joined Envision Healthcare in the past 30 days.